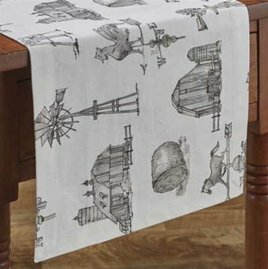 Farm Memories Table Runner 36"
ARRIVING SOON! 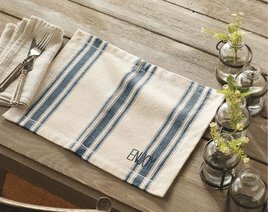 A timeless addition to your farmhouse style, the Farm Memories Table Runner! Windmills, weathervanes, barns & hay bales have never looked so good! Made of cotton. 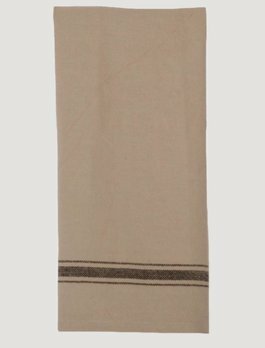 Bring simplicity with the traditional look of the Grain Sack Stripe Black Towel. 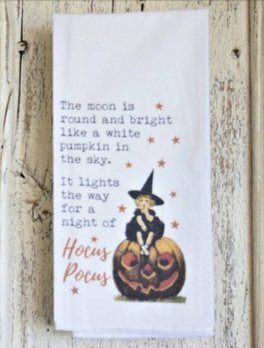 Made of cotton this towel measures 18" x 28". 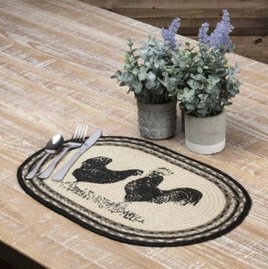 A great touch for your country home or farmhouse! 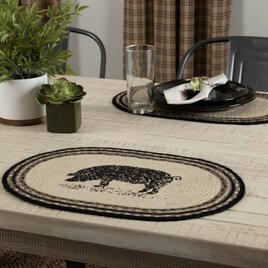 You'll love the traditional look of the Wicklow Table Runner from the Wicklow Garnet Red Collection. Created by Park this is a classic checkerboard pattern with a color scheme of garnet red & white. Measures 13" x 36".